Nghe An (VNA) – Japanese businesses discussed possibilities on agricultural cooperation with Vietnamese enterprises at a workshop in the central province of Nghe An on September 28. 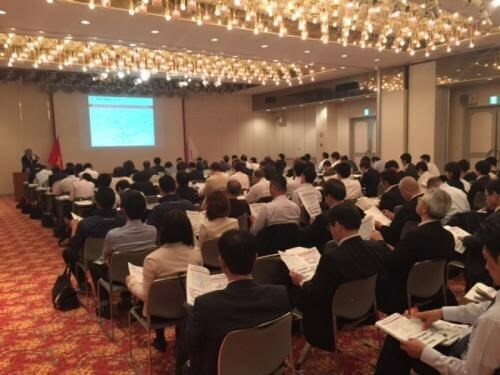 The workshop was hosted by the Japan International Cooperation Agency (JICA). A representative from Tsuno company, which produces cooking oil and cosmetics from rice bran, said the company is looking to cooperate with Vietnamese rice mills as the supply of rice bran in Japan is declining. Kubota Vietnam Ltd Co, which supplies agricultural machines, urged local farmers to switch to new-generation agricultural machines for higher productivity and reduce labour. Watanabe Pibe Vietnam introduces its Green House products used in cultivation. Local companies offered their products and sought partners for technology and human resource training. Participants delivered measures to create high agricultural value chain and to boost agricultural cooperation of two countries. Addressing the workshop, a JICA Vietnam representative said that JICA will support the construction of an irrigation system and agricultural planning in Nghe An.